More than one in five landlords have to wait longer than four months before signing up their first tenants after completing their buy-to-let property acquisition, fresh research shows. The study, conducted by independent researchers Pollright for the Nottingham Building Society (The Nottingham), reveals that 21% of landlords across the country had to wait four months or more after completing their buy-to-let mortgage before they had their first paying tenants. 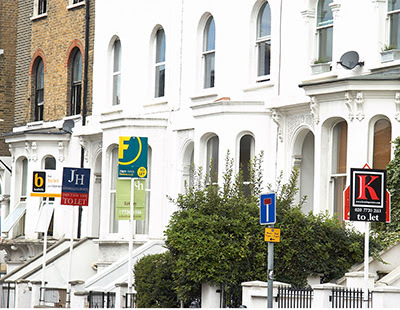 The research also found that more than half - 53% - of landlords have paying tenants within a couple of months of purchasing their buy-to-let property but substantial numbers are facing delays which pile the pressure on their finances. The Nottingham says that the costs involved in setting up as a landlord on top of mortgage finance amount to an average of £2,000 on their first property before they find tenants, although 35% manage to spend less than £1,000. “Becoming a landlord remains attractive for thousands of people, but it is clear landlords need to think carefully before making the decision and also to plan ahead,” said Stephen Reade, lettings operations manager at The Nottingham. “Having to wait four months or more before getting tenants in can put a strain on finances and landlords need to ensure they have spare money to invest in their property over and above basic mortgage costs,” he added.